Read to Succeed is an education activiy focused on multiple aspects necessary to improve early-grade reading (conducting research, using evidence-based decision-making, improving the decentralized management of the education sector). In particular, though, this partnership provides reading materials to schools throughout the country by generating support from the pricate sector to fund "Reading Toos in a Box", a collection of simple, low-cost reading materials to improve early grade literacy. Each box contains teachers’ guides, English to local language dictionaries, various learning supplies, and 75 booklets on various subjects, including HIV and AIDS prevention. 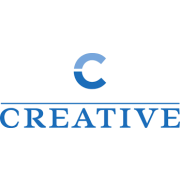 Creative Associates International, Inc. is a private firm providing professional and technical services. Creative is the second largest company owned by women that works with the U.S. Government. Overseas, Creative works with underserved communities by sharing the expertise and experience in education, governance, stabilization, and transitions from conflict to peace. Creative is based in Washington D.C. and currently has twenty three field offices. The work has taken us to 85 countries in Asia, Africa, Latin America, Eastern Europe and the Middle East. Recognized for its ability to work rapidly, flexibly and effectively in conflictive environments, Creative is committed to generating long-term sustainable solutions to complex development problems. Creative Associates International works with the community, government and institutional partners to identify, design and implement projects that promote quality education and a vibrant civil society, tackle issues related to youth and gender, generate and enhance livelihoods and encourage democratic processes.